We support Hunters for the Hungry, a program that feeds needy families in the USA. Hunters for the Hungry (HFTH) is an NRA program that gives back to communities by supplying meals throughout the country. The NRA works closely with state agencies that supervise meat donations. Since the program’s inception, Hunters for the Hungry has brought millions of pounds of venison to homeless shelters, soup kitchens, and food banks across the United States. This program has been in place for 24 years. In 2013, HFTH affiliates donated 2.6 million pounds of meat, equating to 10.3 million meals. Many American hunters are able to harvest more than they can eat or share with friends and family. Through Hunters for the Hungry you can help share your bounty with those in need. All donated game must be field dressed and legally harvested. Note that each state has different rules and regulations for donations, please check with your local drop off location prior to donating. To learn more about Hunters for the Hungry, call (800) 492-4868 (option3) or email hservices@nrahq.org for more information. Many hunters work with organizations dedicated to the cause of helping the hungry, such as Hunters for the Hungry, Farmers & Hunters Feeding the Hungry, Hunt to Feed, and Buckmasters, among others. The game meat satisfies shelters’ need for nutritious food items. Dave Williams, who manages food resources for a Georgia food bank, said that “Deer venison is such a low-fat, high-protein item, agencies greatly appreciate getting it.” Another recent news report pointed out that one deer can feed up to 200 people. Ground venison is a versatile food, with cooks using it in pasta sauces, chili, tacos, meatloaf, burgers and other dishes. Share the post "Program Helps Hunters Donate Food for the Needy"
Happy New Year and Message to our Readers Worldwide! We wish all our readers a happy, safe, and prosperous New Year. We hope that, in 2012, you’ll enjoy your precision rifles, spending “quality time” at the range with friends who share your “addiction to accuracy”. We’ve made major upgrades to our Shooters’ Forum this year, and our audience is bigger than ever. We hope you’ll continue to enjoy our feature articles, our Daily Bulletin, our match reports, and our Free Forum Classifieds. We experienced big growth in our Forum this past year. Membership grew by 23% as member ranks swelled from just under 13,000 members to over 16,000 members! The Forum Classifieds section, with an effective seller/buyer feedback system, is more active than ever. Rifle by Long Rifles Inc. (Chad Dixon), photo by Robert J Anderson. The AccurateShooter Daily Bulletin has become a “must read” for anyone interested in serious rifle accuracy. In the Bulletin you’ll find money-saving sale notices, timely match reports, and a host of reloading and accurizing tips. And the Bulletin has become THE source for exclusive “scoops” on new product and new shooting technologies. Eric Stecker of Berger Bullets says “You guys have become the ‘USA Today’ of the precision shooting market.” 365 days a year we offer a unique combination of shooting tips, gear reviews, industry news, and highlighted bargains and special sales. In the months ahead we plan to release more Cartridge Guides, more Gun Profiles, and some major gear comparison tests. We also hope to do audio interviews (“podcasts”) with top shooters such as Carl Bernosky, Sam Hall, and John Whidden. And we’ll continue to offer serious field tests and inside “scoops” on the latest precision shooting products. We need your support. For over seven years the site has relied largely on volunteer efforts by dedicated shooters. But as the site grows, adding new types of content and more sophisticated features, we need the assistance of professional gunsmiths, writers, and movie editors. Those guys don’t work for glory alone. For the site to continue to deliver more cutting-edge content, we need to bring in paid helpers. Right now, the site reaches over 100,000 shooters every WEEK. If the majority of those users could provide a small donation every year, we could deliver more stories, more tests, more Gun of the Week features, and more videos. 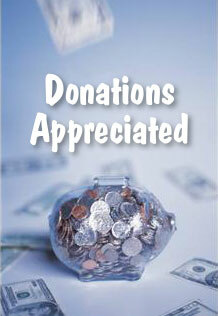 In the past quarter about 50 site users have generously donated to the site. I want to again thank all those who have contributed (at any time). But that still leaves tens of thousands of users who access the site regularly without contributing. Making a donation to the site is simple and easy. Just click on the “Donate Button” at right. If you have a credit card, you don’t need a Paypal account to contribute. Any sum is welcome — donations need not be large. Help Support this Site by Making a Secure Donation. Share the post "Happy New Year and Message to our Readers Worldwide!" First, we’d like to wish all our readers a happy, safe, and prosperous New Year. We hope that, in 2011, you’ll have time to enjoy your precision rifles, and spend more time at the range, hopefully with good friends who share your “addiction to accuracy”. We’ve made some major upgrades to the site this year, and our audience is bigger than ever. We hope you’ll continue to enjoy our feature articles, our daily news reports, our match reports, our video collection, and our Free Forum Classifieds. 2010 was a big year for the site. First our traffic grew substantially. AccurateShooter.com is now accessed by more than 100,000 unique users every week. In November we completed a major site upgrade, a “nose to tail” rebuild that required hundreds of man-hours of work. We’ve expanded the layout to provide more room for photos and videos. The entire site was rebuilt, page by page, on a sophisticated content management system (CMS). Our new CMS allows easier, faster searching, and category-based navigation. The CMS also automatically links readers to related articles and relevant gear reviews. This provides a richer browsing experience — you can find more cool stuff on every visit. The new site format also allows us to integrate popular articles that originally appeared in our Daily Bulletin. We experienced big growth in our Forum as well. Membership grew by 30% as member ranks swelled from 10,000 members to 13,000 members! The Forum Classifieds section, with a new seller/buyer feedback system, is more active than ever. The AccurateShooter Daily Bulletin has become a “must read” for anyone interested in serious rifle accuracy. We launched a bigger, more colorful Bulletin layout in April, and now we now have 12,000 average pageviews a day, up from about 8,500 last year. 365 days a year we offer a unique combination of shooting tips, gear reviews, industry news, and highlighted bargains and special sales. In the months ahead we plan to release more Cartridge Guides, more Gun Profiles, and some major gear comparison tests. We also plan to do audio interviews (“podcasts”) with top shooters such as Sgt. Sherri Gallagher, Sam Hall, and John Whidden. And we’ll continue to offer timely match reports and inside “scoops” on the latest precision shooting products. We need your support. For over six years the site has relied largely on volunteer efforts by dedicated shooters. But as the site grows, adding new types of content and more sophisticated features, we need the assistance of knowledgeable programmers, database experts and web designers. Those guys don’t work for glory alone. For the site to continue to expand its content, we need to bring in paid helpers. Right now, the site reaches over 100,000 shooters every WEEK. If the majority of those users could provide a small donation every year, we could deliver MORE stories, MORE tests, MORE Gun of the Week features, and provide more of the photos and videos everyone enjoys. In the past quarter about 60 site users have generously donated to the site. I want to again thank all those who have contributed. But that still leaves tens of thousands of users who access the site regularly without contributing. Consider this — what do you pay for a movie ticket these days? Probably $8.00 or more for 90 minutes of escapism. For a buck a month ($12 a year) you can help this site provide a YEAR’s worth of info, tests, and shooting news that you won’t find anywhere else. Larry and Brenda Potterfield of MidwayUSA have donated $1.6 Million to the Scholastic Shooting Sports Foundation to support youth shooting programs. The Scholastic Shooting Sports Foundation (SSSF) is an educational-athletic organization that exists to introduce school-age youths to the clay target sports and to facilitate their continued involvement by providing, promoting, and perpetuating opportunities to safely and enjoyably participate and compete in a high-quality, team-based sport led by trained adult coaches focused on enhancing the personal growth and development of their athletes. Share the post "Potterfields Donate $1.6 Million to Scholastic Shooting Foundation"
First, we’d like to wish all our readers a happy, safe, and prosperous New Year. We hope that, in 2010, you’ll have time to enjoy your precision rifles, and spend more time at the range, hopefully with good friends who share your “addiction to accuracy”. 2009 was a big year for the site. AccurateShooter.com is now being accessed by more than 60,000 users every week. This fall we completed a major upgrade, moving our Shooters’ Forum to a new dedicated server that is faster and more reliable. Our Forum is approaching 10,000 members and the Forum Classifieds section, with a new seller/buyer feedback system, is more active than ever. Likewise our Daily Bulletin has become hugely popular, drawing readers from around the globe. 365 days a year we offer a unique combination of shooting tips, gear reviews, industry news, and highlighted bargains and special sales. On the editorial side we’ve continued to publish in-depth profiles of interesting firearms, along with technical articles, and feature stories on leading shooters such as World F-TR Champion Russell Simmonds. In the months ahead we plan to release more Cartridge Guides, plus major comparison tests on Chronographs, High-Magnification Scopes, and Rangefinders. And we’ll continue to offer timely match reports and inside “scoops” on the latest precision shooting products. But to do all that, we need your support. For some five years the site has relied largely on volunteer efforts by dedicated shooters. But as the site grows, adding new types of content and more sophisticated features, we need the assistance of knowledgeable programmers, database experts and web designers. Those guys don’t work for glory alone. In the past quarter a couple dozen guys have generously donated to the site. I want to again thank all those who have contributed. But that still leaves tens of thousands of users who access the site regularly without contributing. Here’s my proposal. First, if you have used our FREE Classifieds to successfully sell your rifles or shooting gear, consider sending in a dollar or two from your sale proceeds. Second, for those who use the site regularly, consider donating One Dollar a Month. That’s less than the price of a cup of coffee and much less than many websites now charge for their “premium content areas”. Consider this — what do you pay for a movie ticket these days? Probably $8.00 or more for 90 minutes of escapism. For a buck a month you can help this site provide a YEAR’s worth of info, tests, and shooting news that you won’t find anywhere else. Making a donation to the site is simple and easy. Just scoll down to the bottom of this page and click the DONATE Button to make a donation. If you have a credit card, you don’t need a Paypal account to contribute. Any sum is welcome — donations need not be large. If 20% of our readers gave even $5.00 a year we could hire a staffer to do research, create videos, and help with field tests. The Youth Shooting Sports Alliance (YSSA) has introduced a new Donated Firearms Program to help support youth shooting programs. If you donate a “previously-owned” firearm, the YSSA will auction the gun on Gunbroker.com. After the gun is sold, the Youth Shooting Sports Alliance, a 501(c)(3) charitable foundation, will provide the donor with a receipt showing the sale value. You can then claim this amount as a charitable deduction on your income taxes. CLICK HERE to download YSSA gun donation form. Prospective donors are asked to complete a sign-up form, available on YSSA’s website (or by clicking the above link). In addition to collecting the donor’s contact info, the form requests a description of the donated firearm(s) (including any known defects). The donor must also supply contact information for the Federal Firearms License (FFL) holder who will be shipping the donor’s firearm. The donor will be provided copies of all communications between the FFL holders involved. The donor must agree to pay for shipping of the firearm to the YSSA’s designated FFL holder — Red’s Army/Navy, Kitty Hawk, NC. Auction proceeds will be used to purchase equipment and supplies for priority youth shooting sports programs nationwide. This is a worthy program that allows you to get a tax deduction for those old guns that may be sitting in your say. Visit the YSSA website for more information. Share the post "Help Young Shooters with Tax-Deductible Gun Donations"